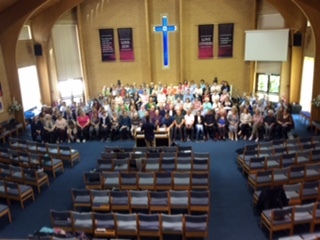 This is a unique event – an opportunity to sing a LOT of old favourite hymns, accompanied by Jeffrey Howard, with more than 100 enthusiastic singers. And to top it all, free coffee and teas all day plus a 2 course lunch served by the church. The purpose of this is to video these songs. Readings and prayers will be added later and they will be made up into short services and put on memory sticks. These will be sold to churches to take along to Care Homes to aid them in their ministry there. Contact us if you would like to be involved or if you would like more information about the package we will be offering to churches. It really is going to be a super day!